By most definitions, genealogy is a pursuit of families along paternal lines, and simply by virtue of inheriting a man's name, both at birth and at marriage, not only are the lives of our women ancestors lost along the way, but we also lose the overall picture of how families survived in good times and bad. Our families were units who operated in very close-knit ways in order to survive first, and second to prosper. The men and the women together. Well, I won't carry on. But in all the excitement lately of discovering the Menge family in Philadelphia before and during the Revolution years, I started to forget. It's been about finding the war records and the court records and the land records, and learning about taverns, which apparently did more to shape popular opinion than anything else. This is not a time in history with much to say about women. It's easy to forget they were there. So let's look again at the Menge family in America. We've been busy tracking the boys - Johann, Ernst, and Henrich. Ahhh, but now it seems there was at least one sister, and perhaps two. The one we are learning about now was named Anna Catharina Menge. She married Peter Sommer in 1769 - listed in the church records as Catherine Mänchen. It's so easy to overlook her here until realizing that the German tradition is to add -in or -en to a surname for females. How old was she when she married? Let's say she was 20, thus born around 1749. When did she arrive in America? Come to think of it, why aren't there any female names on the ship lists of Germans arriving in Philadelphia? One cousin thought it was because it was only the men who were required to take an oath of allegiance when they arrived, but I don't think that was altogether so. Ernst and Johann arrived in 1754, some 20 years before Americans would start pushing back against the British. What oath? Well, let's imagine. Let's pretend that Catherine arrived with her brothers in 1754. That would have made her 5 years old when the ship pulled in. It's hard now to imagine that such a small child would travel across the ocean without her parents. There are a few small clues that maybe her parents also came to America, but while there is plenty of evidence that the Menge brothers were in Philadelphia, there's not much to support that the parents were also. So that would suggest (to me) that the older brothers took care of their little sister. There's some possibility that Henry came earlier than Ernst and Johann, and that he was already married in Germany before he came. Perhaps Catharina came across with Henry and his family? Well, enough imagining. We know that Catharina married in 1769, and she and Peter had 3 children: Johann Ernst, Anna Catharina, and Anna Margaretha. Catharina's brothers were sponsors at some of these baptisms, and thus the Menge family link is strengthened. Then we know (or think we know) that Peter went off to fight in the Revolution in several capacities before he resigned his commission in 1781 and subsequently died in 1783 at the age of 36. In his will, he specifically states that he is divorced from Catherin Man and she is entitled nothing, but then there is a codicil on the will which subsequently grants her 1/4 of his estate (the 3/4 to his children). Divorce in 1770's Philadelphia? Huh? Well, luckily my local genealogical society was able to educate me about how such things were handled at the time, and I've added research notes about the topic of colonial divorce to my family tree on ancestry.com. But really, what was Catharina doing? It would mean loss of everything material, but most especially her children, aged 13 and under at the time of Peter's death. It's hard to imagine what would make a woman voluntarily give up her children. Catharina must have fallen for this guy named Nicholas Rash (Rosch and no doubt various other spellings), because less than a year after Peter died, she married Nick. So now her kids would be 14, 12, and 10 (give or take), but where were they? My understanding of divorce at the time is that the woman lost all custody and Peter would have had to arrange for guardians. In the German Lutheran tradition, often the godparent's would help take care of children who lost their traditional home environment for whatever reason. (Were the sponsor's at the baptisms the godparents?) Well, the fact remains that we must now imagine Catherine now around 35 years old living with her new husband in Philadelphia while her children were living (presumably) elsewhere in Philadelphia without her. Oh my. Could she get the children back at that point, I wonder? Did Nick then adopt them? So much to wonder about. Catharina would live another 15 years. In that time, she would see all three of her children married. She would be a sponsor of her son's first-born daughter, also named Catharina, which would indicate that her son still had loving feelings toward his mother. And then when Catharina died in 1799, her will specifically names the three children, so it seems to me that she did not ever let them very far from her life. In all this imagining, Catharina who was 5 when she came to America probably barely speaking German, was 50 when she died. She had married two Revolutionary soldiers and raised three children in a city that was not only occupied by the British during the war but which also suffered from rampant diseases such as yellow fever. It could well be what caused her death. And what of her original family? 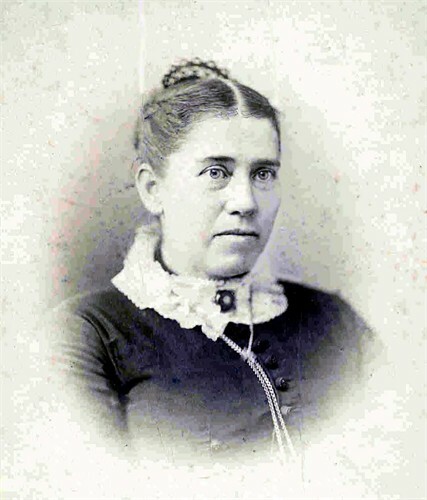 Her brothers Henry and John were dead, and so only Ernst was still living at the time of her death. Ernst was living in New Jersey by then and one has to wonder if he was still close with his sister in Philadelphia. Was there a funeral? Did Ernst come to remember her? Anna Catharina Menge Sommer Rosch. Well, I'm glad to have met her now, even if in my imagination. And in reality? What's true is that Catharina's line of descendants is at least as long as that of her brothers. Even if her name goes unremembered, the legacy of Catharina lives quietly on nonetheless.